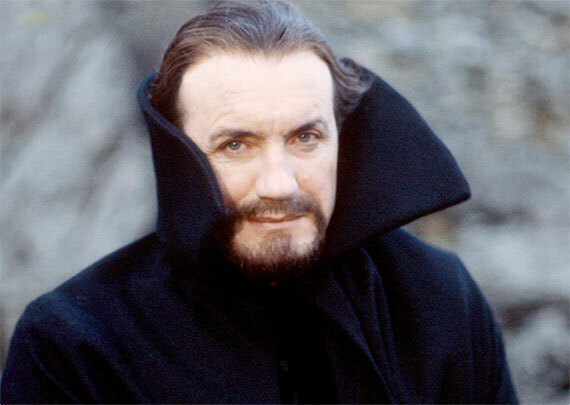 The Master has always been one of the most snappily-dressed villains in Doctor Who history. 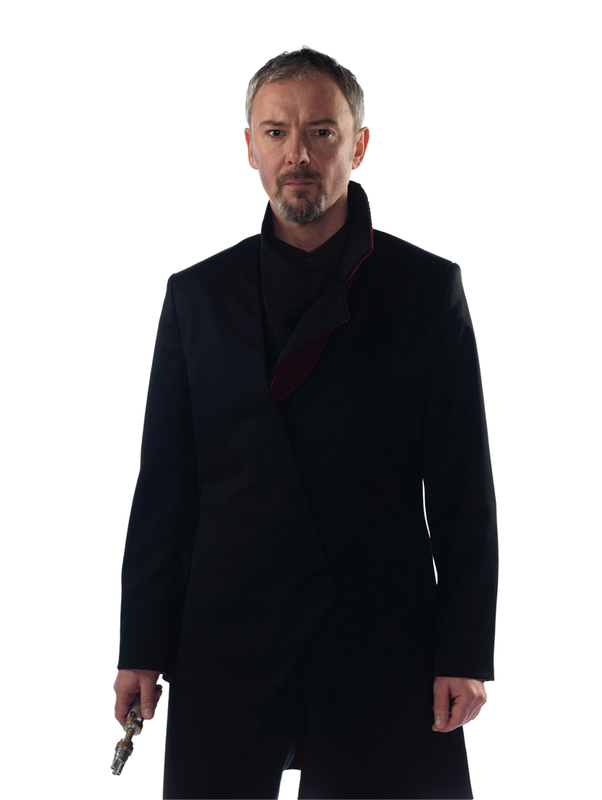 So when you’re bringing back John Simm to reprise his incarnation of the villainous Time Lord, he needs a wardrobe worthy of the momentous occasion, and his new getup is so much better than that hoodie he had the last time we saw him. 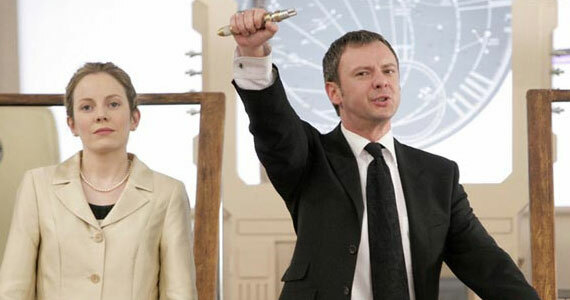 Gone is that ratty hoodie, as is the plain suit he wore back in “The Sound of Drums/Last of the Time Lords,” replaced by a sleek and snazzy black coat. 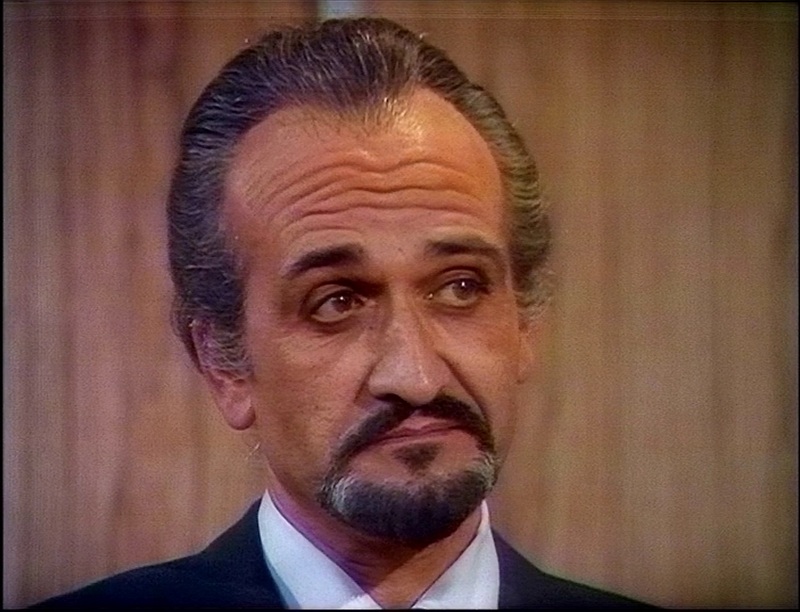 The high collar, although unbuttoned, is very evocative of the classic nehru jacket worn by Roger Delgado’s Master during the ‘70s. His trusty laser screwdriver is back in action. And unlike last time, he’s even got a traditional Master beard to boot!